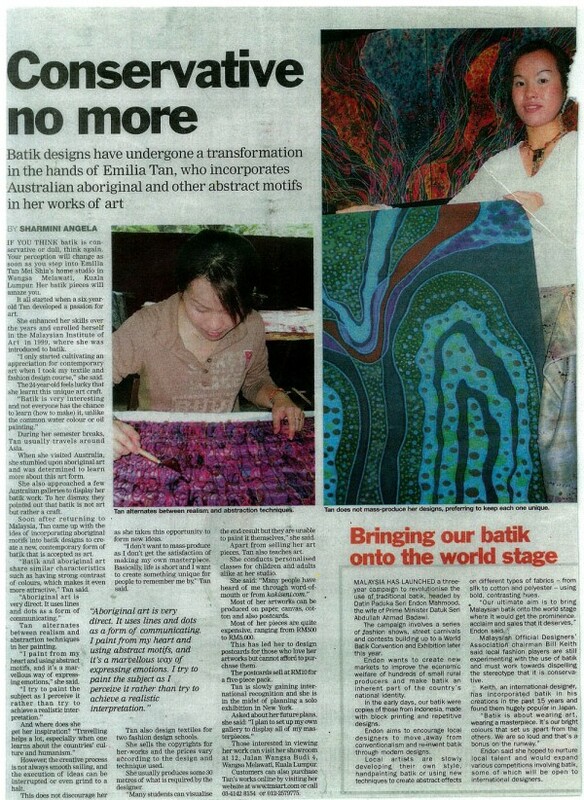 2004 The Sun Daily " Conservative No More "
2004 Emilia's Solo Batik Exhibition, KLCC Twins Tower, interview by TV3. 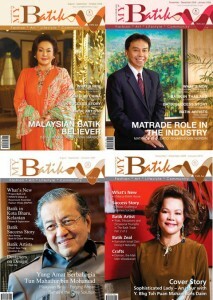 The Exhibition was fully sponsored by UNICEF MALAYSIA. 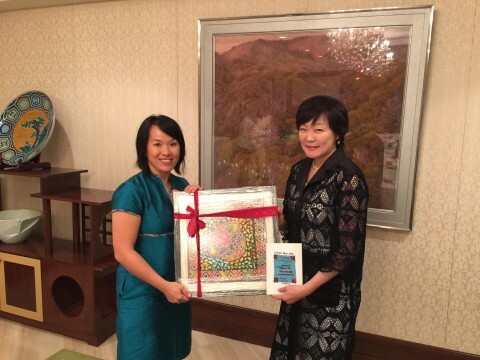 The theme of the exhibition is " WORLD AIDS DAYS"